Markham's Behavioral Health: March is Social Work month. What do Social Workers do? March is Social Work month. What do Social Workers do? 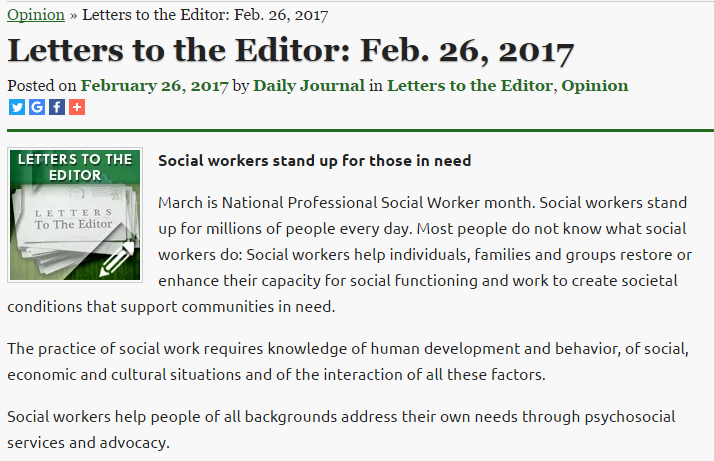 Excellent description of Professional Social Work in letters to the editor on 02/26/17 in the Daily Journal in Tupelo, Mississippi. 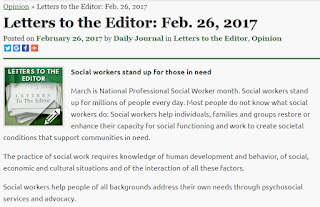 "March is National Professional Social Worker month. Social workers stand up for millions of people every day. Most people do not know what social workers do: Social workers help individuals, families and groups restore or enhance their capacity for social functioning and work to create societal conditions that support communities in need."